24 | January | 2018 | Watts Up With That? January 24, 2018 in TAO/TRITON Buoys. January 24, 2018 in Disaster. Today's Food is a Modern Agricultural Miracle, So Why is It Under Attack? January 24, 2018 in Agriculture. "24-Hour Solar Energy: Molten Salt Makes It Possible"… Reality Check. 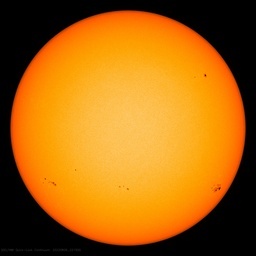 January 24, 2018 in solar power. January 24, 2018 in United Nations. January 24, 2018 in Climate News.